Not all PVC is the same. We use only the best quality product ranging from top grade Japanese plastic, marine grade zips (zip rollup blinds only) and tracking systems powder coated to match with existing colour schemes. 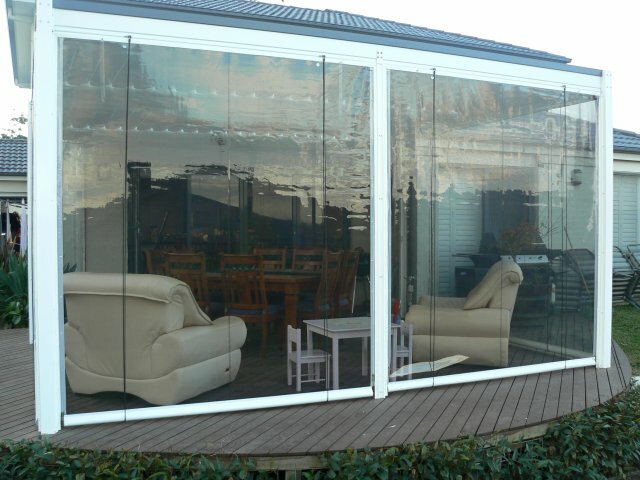 The PVC is UV treated to avoid that �milky' look often associated with the cheaper PVC blinds. Our workmanship is second to none and we pride ourselves on doing the little extras that make all the difference to the final product. We back out work with a 2 year warranty which includes �shrinkage'. With no zips or pulley systems the ziptrak blind allows for easy operation for everyone. Working in a very similar way to a garage roller door the ziptrak blind has a spring loaded top roller and with the release of the bottom clips the blind can be easily pushed up retracting onto the roller and out of the way. The blind can then be pulled down, locking automatically back into the bottom clips. It doesn't come much easier than that. When combined with a pelmet box over the roller the blind tucks neatly up out of the way when not required. 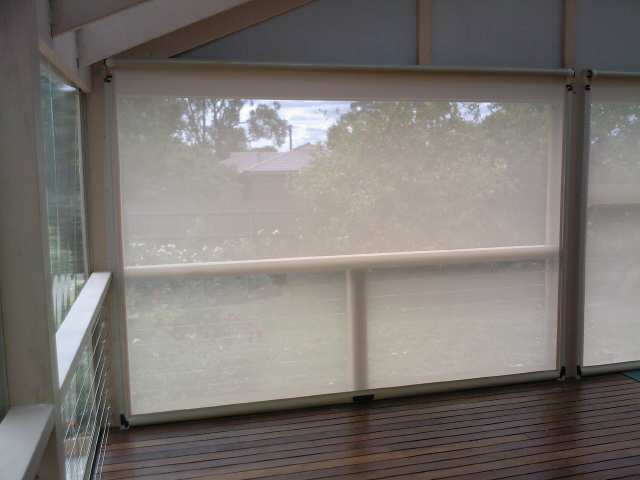 The ziptrak blind suites both PVC and shade blinds. Operating on both the ziptrak and zip up systems the use of a shade mesh product has the advantage of blocking up to 90% of the suns harmful rays while also providing some protection from wind and rain. We use only the best materials including vista weave and soltis to provide you with a strong and durable option for maximising the use of your outdoor area. Copyright � 2013 Mike's Cafe Blinds.